Hey everyone! Hope you are having a lovely weekend so far! 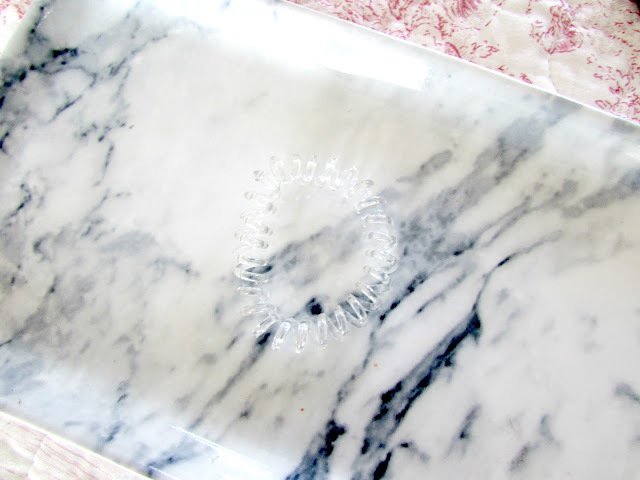 Today I thought I would tell you about my favourite hair care product. I was scrolling through my blog the other day and I've realised that I don't actually speak much about hair products that I use. Truth be told I don't actually use that many as I don't tend to do a lot with my hair but I thought, why not tell you all about these. Hope you are all having a lovely weekend so far. I can't believe it's the 13th June already. I start my new job in 10 days. What?! I'm so incredibly nervous and scared and the more it creeps up the more scared, worried and anxious I get. I don't know if this is normal or not. 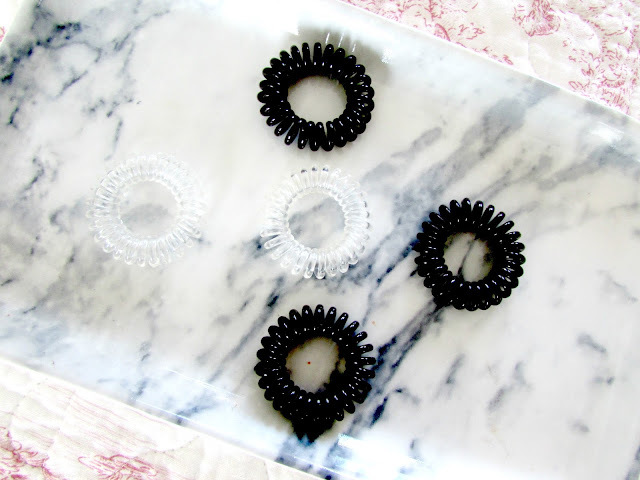 I've been spending the day so far just reading through a ton of information for BA as there's so much to learn but thought I would take a break from that today to tell you all about my new favourite hair product and that is Invisibobbles. Now I'm not going to lie here. I wasn't at all interested in purchasing invisibobbles originally at all. I just didn't understand the appeal as I'm sure you can see yourselves by the photo above, to me they just looked like old telephone wires and that just wasn't something I wanted to tie up in my hair. I saw them pop up all over the place, on different blogs, instagram etc. and I just thought they did look quite horrible. However as the months have gone on it's ridiculous how many people I've seen use them and one of my best friends even swears by them so I knew it was something that I had to try so I decided to purchase a pack of three from Amazon a couple of weeks ago and my goodness I wasn't left disappointed. 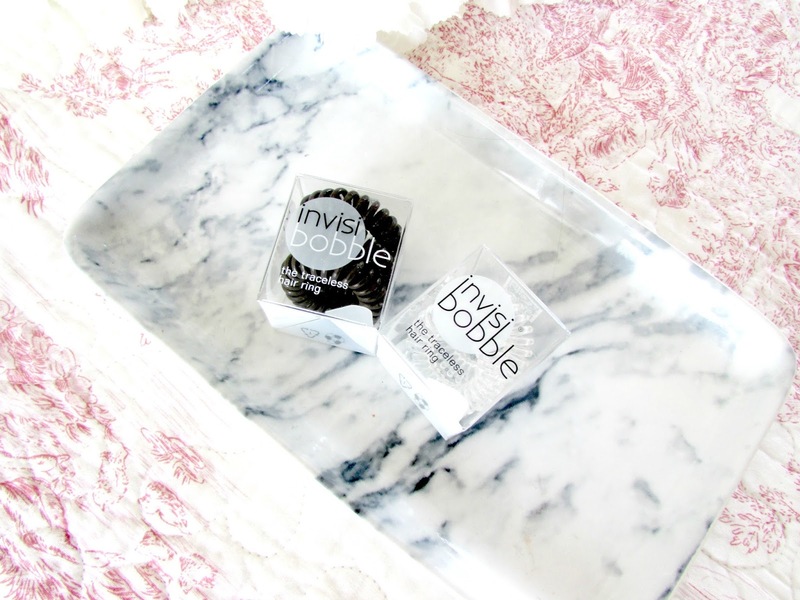 Invisibobbles are designed to tie the hair up without leaving those awful kinks you get with regular hair bobbles. I get these all the time with normal bobbles and it drives me mad. This wraps the hair perfectly and when you take it out there's no pulling or trouble and your hair is incredibly smooth and straight purely down to the space the invisibobble gives the individual hairs within the ponytail. I also love the fact that with these you can put them around your wrist and it doesn't leave a mark on the skin like normal bobbles do because they have been too tight. I absolutely love them. When you eventually start to use the hair bobbles they do tend to expand as you can see from the photo below and are definitely not as small as they are at first however this is definitely not a bad thing as I find this makes them easier to use and tie your hair up with. Invisibobbles come in so many different colours however, as you can see from the photos above I opted for quite neutral every day colours that could blend in with my hair; black, brown and clear coloured ones however I gave my Mum the black bobbles to try so they aren't photographed. Once I am brave enough I will definitely opt for more however for now these three will do me and there are three bobbles in each pack as well which is perfect! Overall I absolutely love these bobbles and I think they are the perfect summer accessory as they come in a variety of different colors meaning they can suit practically any outfit, and as you can wear them around your wrist all the time it means that if you ever get too hot because you have your hair down you can just quickly tie it up and voila you're good to go. I just think they are amazing and like I mentioned earlier in the post I got mine from Amazon, HERE, where you can purchase the three I got for £10.88 ex. p&p. You can also find other colors by browsing amazon too. 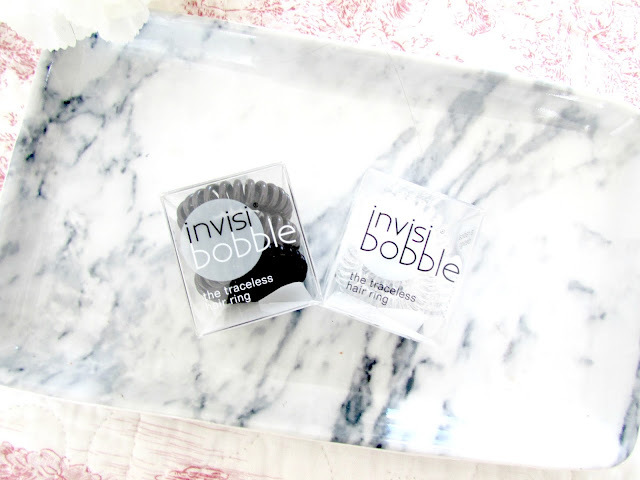 Have you ever tried Invisibobbles before? I've been wanting to try these for ages! They are so different to any other bobbles I have, I'm loving PopBands hair ties at the moment!